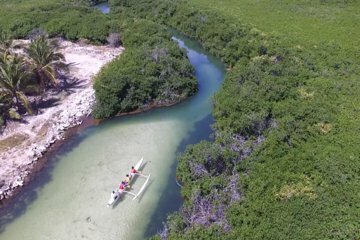 Explore the extensive mangrove forests of St. Maarten on this 2-hour kayak tour from Galion Beach. Paddle across the pristine turquoise waters to discover the diverse ecosystem of the region with various plant and animal species including iguanas, egrets, and herons. Enjoy a peaceful day out on the water surrounded by nothing but nature.